Source: Received as budwood from Ted Frolich, UCLA, 1960. Parentage/origins: Ortanique is a natural tangor that was discovered in Jamaica. 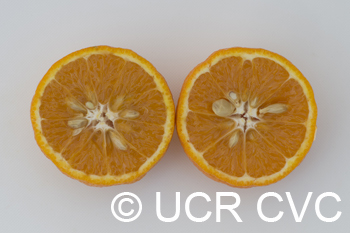 The name is a combination of “or” for orange, “tan” for tangerine, and “ique” for unique. The medium-sized tree is dense, and round in form. 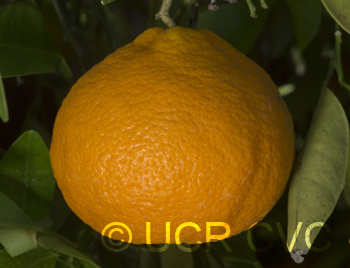 The fruit is medium in size, obovate in shape, and has a pebbled, dark orange rind. The flesh is orange-colored, tender, and exceptionally juicy. When cross-pollinated, the fruit is seedy. The flavor is rich and sweet. Ortanique is usually late in maturity, and the fruit holds very well on the tree. 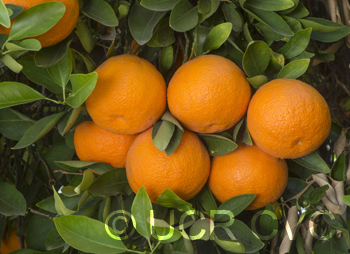 "Fruit large (very large for mandarin), very broadly obovoid to slightly oblate to almost subglobose; base evenly rounded or tapering to low, shallowly furrowed neck or collar; apex flattened or with shallow depression and sometimes with small protruding navel; areole evident though not prominent. Rind thin, leathery, rather tightly adherent but peelable; surface smooth but finely pitted, glossy; color bright yellowish-orange at maturity. Segments 10 to 12; axis solid to semi-open. Flesh orange-colored; juicy; flavor rich and distinctive. Seeds average about 10, plump, with white cotyledons, and polyembryonic. Late midseason in maturity and holds well on tree. Tree moderately vigorous, medium-large, spreading and drooping, almost thornless, with slender branchlets; dense foliage consists of medium-sized leaves with narrowly winged petioles. The origin of this attractive and promising variety is unknown, but Ortanique is reported (Anonymous, 1963) to be an old chance seedling that came to the attention of C. P. Jackson of Chellaston, Mandeville, Jamaica, in 1920. He is said to have grown 130 seedlings from it, of which about 40 per cent resembled the parent fruits, and to have selected those which he considered best. 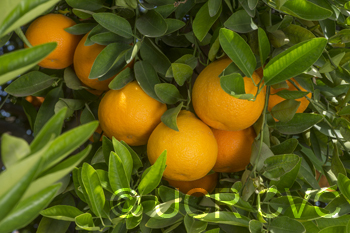 Because of the presence of wild orange and so-called tangerine trees in the vicinity of the original tree and the distinctive features of the fruit, it was considered to be a natural tangor and was given the name Ortanique by H. H. Cousins, a former Director of Agriculture. The name was a synthesis coined from or(ange), tan(gerine), and (un)ique. The present clone probably represents a nucellar seedling of the parent tree. 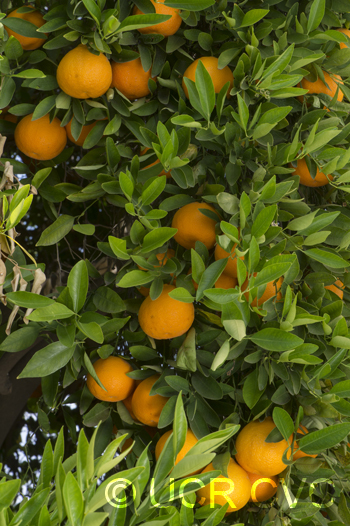 It is worth noting that two other high quality, mandarin-like varieties—Temple and Ugli—are believed to have originated as wild chance seedlings in Jamaica. Although Ortanique early gained popularity in the local markets, it was not planted much until comparatively recently when small shipments to Canada and Great Britain received favorable market reactions and brought high prices. Acreage was said to be approximately 2,000 in 1964 when about 1,200 acres were six years old or less. 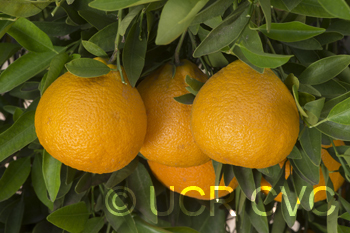 The Jamaica Citrus Growers' Association reported that its handlings increased from 22,246 field boxes in 1960-61 to 73,616 boxes in 1962-63 and were expected to reach 250,000 boxes by 1967."